Are you someone that is looking to #improveyourbalance? 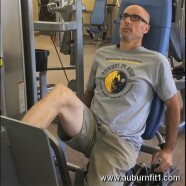 If so, the #singlelegpress is the #exercise for you. Click to learn more!